Nothing but the highest of praise from Metroid: Other M producer, Yoshio Sakamoto today. 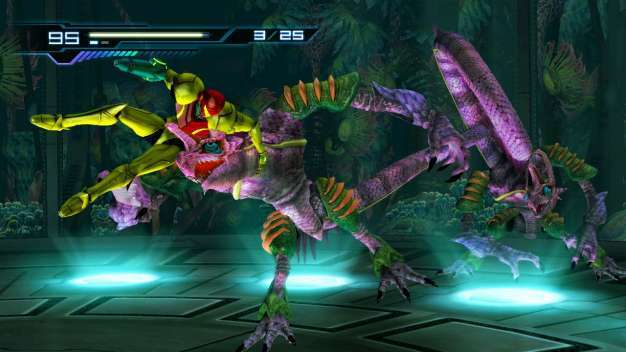 As you probably know he’s been working on this new Metroid title with the rather intriguing combination of Team Ninja, a developer renowned for games that aren’t really much like Metroid. Still, that hasn’t shaken him, he tells Nintendo Week, “The teamwork between Nintendo, Team Ninja and D-Rockets is perfect, and we’re working to bring you an exciting Metroid and an attractive Samus.” Attractive (if unrealistic) females is something Team Ninja does well after all. Other M is on course for June 27th in America… but we’re still waiting on that EU date.